The AIA has released its Architecture Billings Index (ABI) for September, and the news looks good. According to the organization, the ABI score went to 51.6, up from 50.2 in August (any score above 50 reflects an increase in billings). 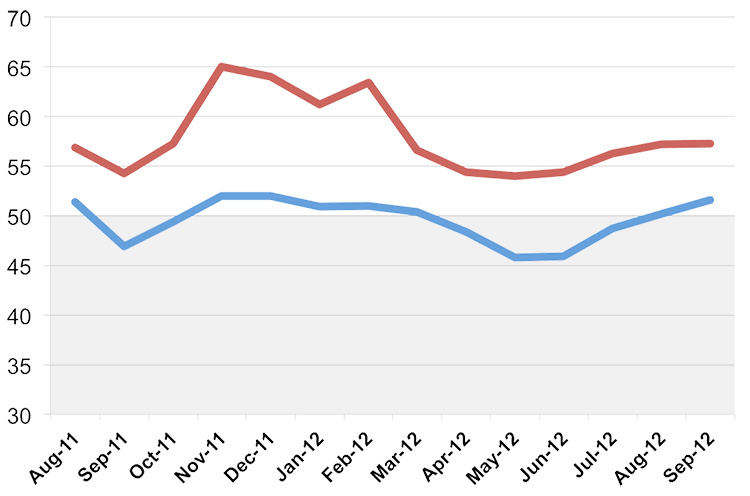 The spike marks the fastest increase in the demand for design services since 2010. 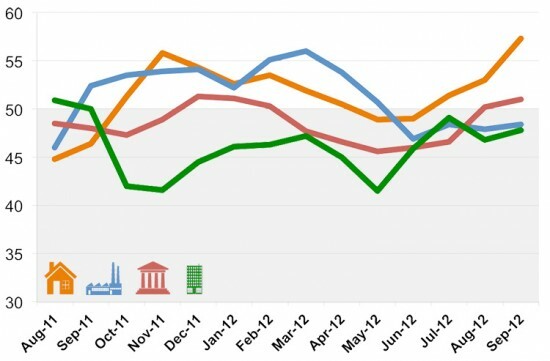 As a leading economic indicator of construction activity, ABI reflects the approximate nine to twelve month lag time between architecture billings and construction spending. The diffusion indexes contained in the full report are derived from a monthly “Work-on-the-Boards” survey that is sent to a panel of AIA member-owned firms. 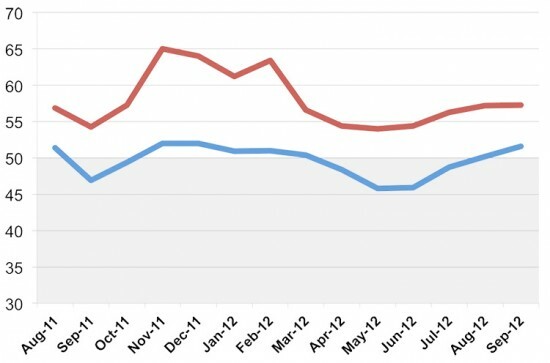 The organization asks participants whether their billings increased, decreased, or stayed the same in the month that just ended as compared to the prior month, and the results are then compiled into the ABI. Any ABI score above 50 indicates an aggregate increase in billings. Scores below 50 indicate a decline. 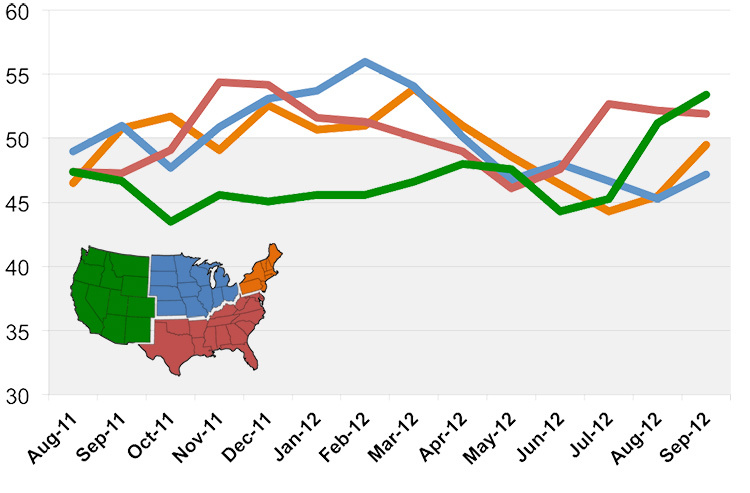 Here’s how the ABI broke down regionally in September: West (53.4), South (51.9), Northeast (49.5), Midwest (47.2). Here’s how the index broke down by sector: multi-family residential (57.3), institutional (51.0), commercial/industrial (48.4), mixed practice (47.8). 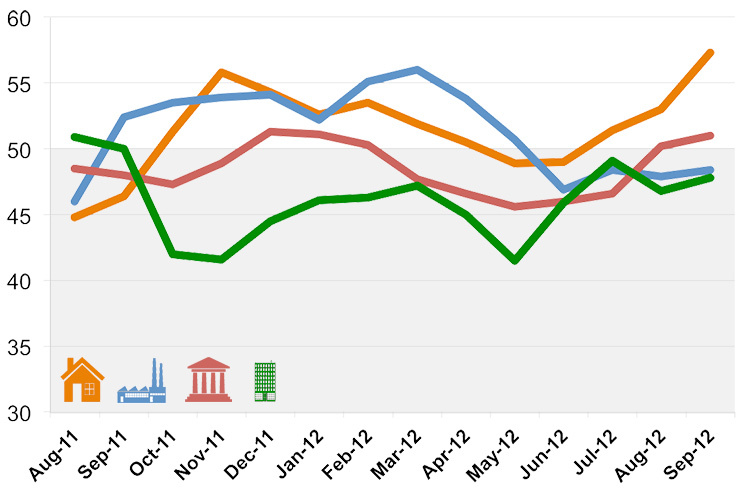 The new projects inquiry index—an indicator of client interest in design services—also showed some growth. It came in at 57.3, compared to a mark of 57.2 the previous month.